At an early age I was always active trying to help out on my parents farm, loved running and any sport at school I was first there, most happy when I was moving. 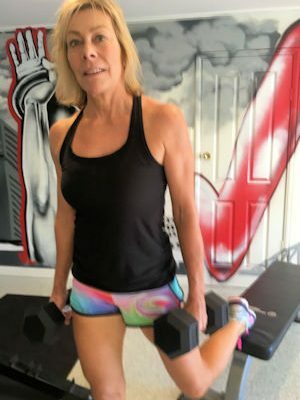 My first job was in a law office and I spent many many years as a paralegal, catching public transport and sitting at a desk, but always made time for some form of exercise. With this genuine love for movement, the excitement I felt every time I trained — I wanted to share this experience with others and the best way to do that was as a Trainer. Professional and personalised service, motivational, a great workout, compassion, and fitness can be fun.